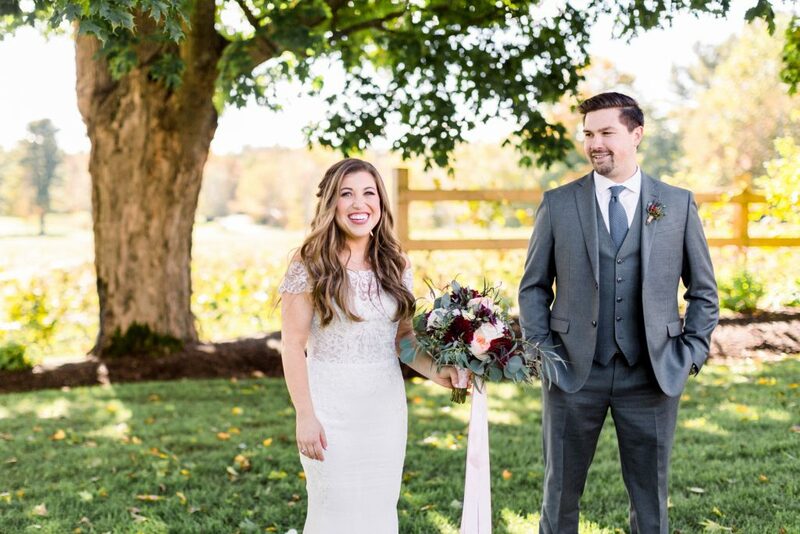 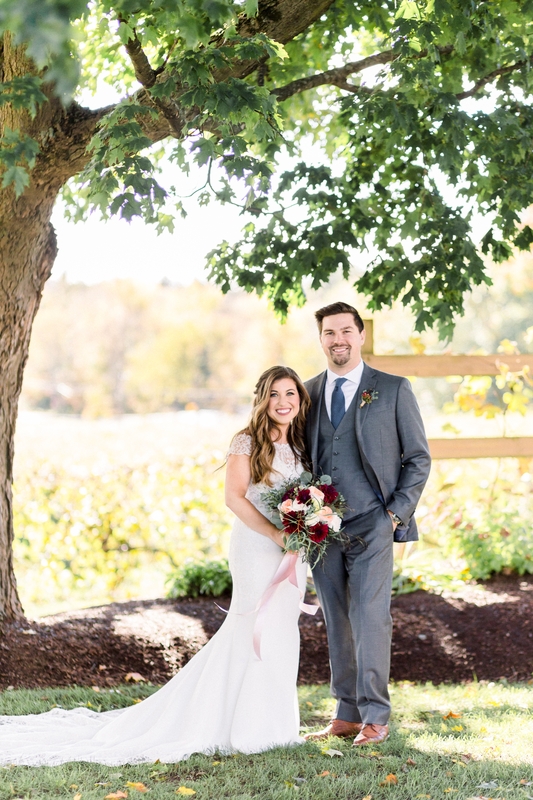 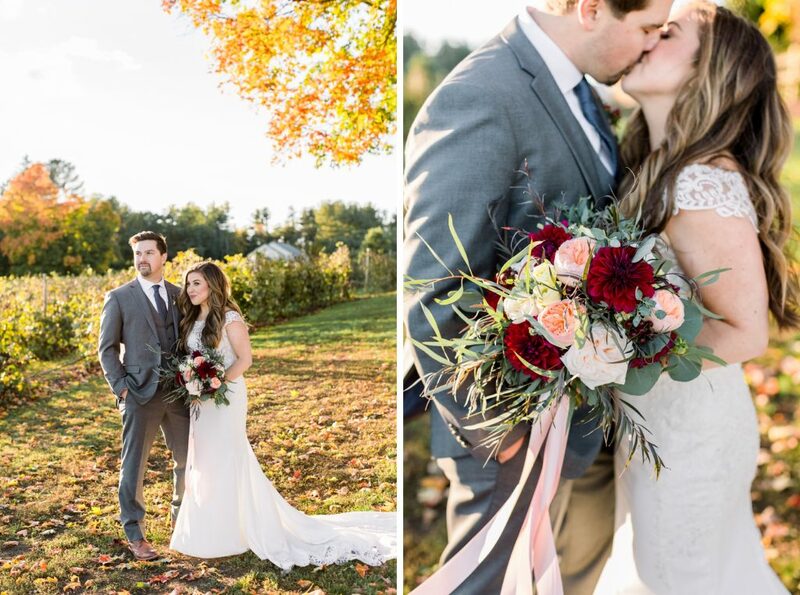 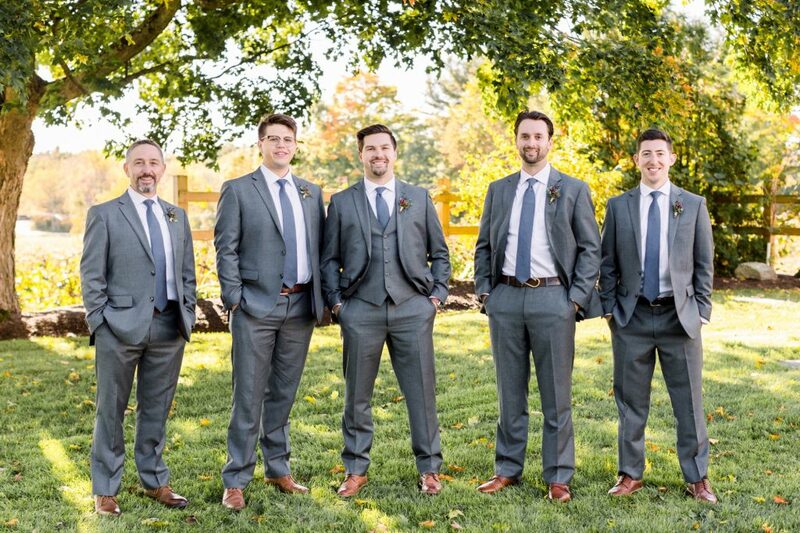 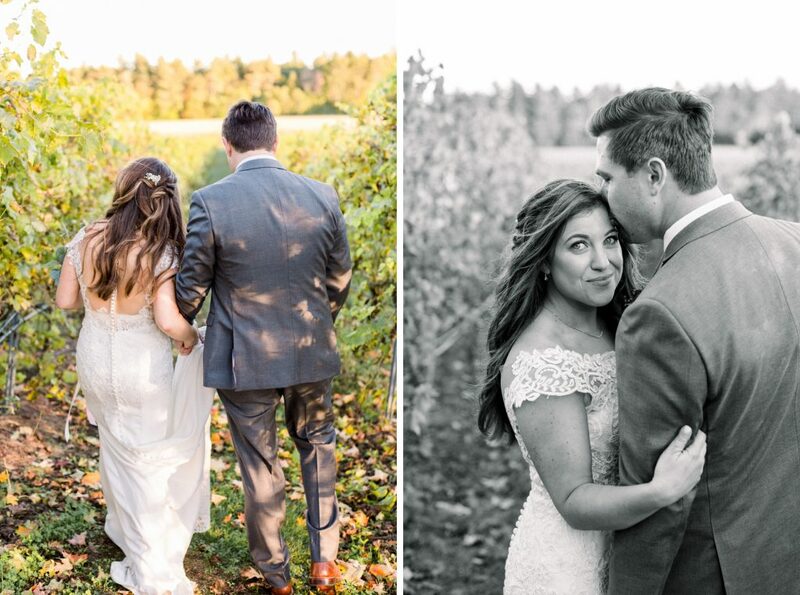 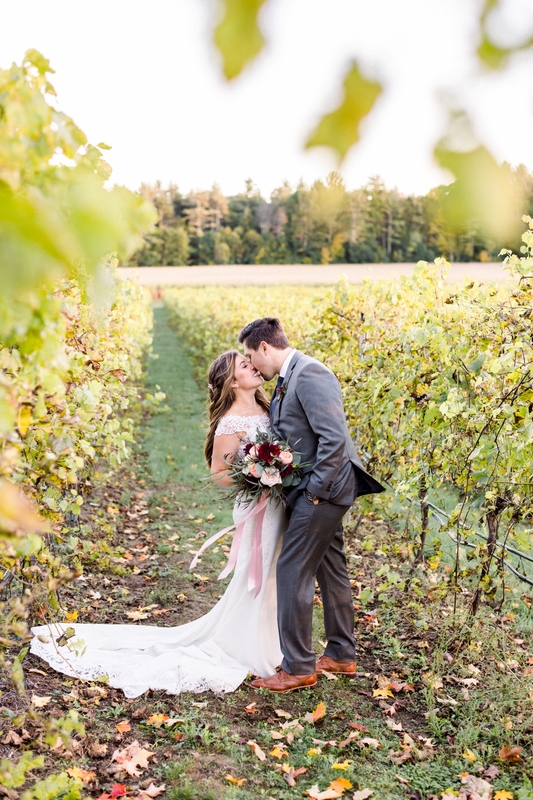 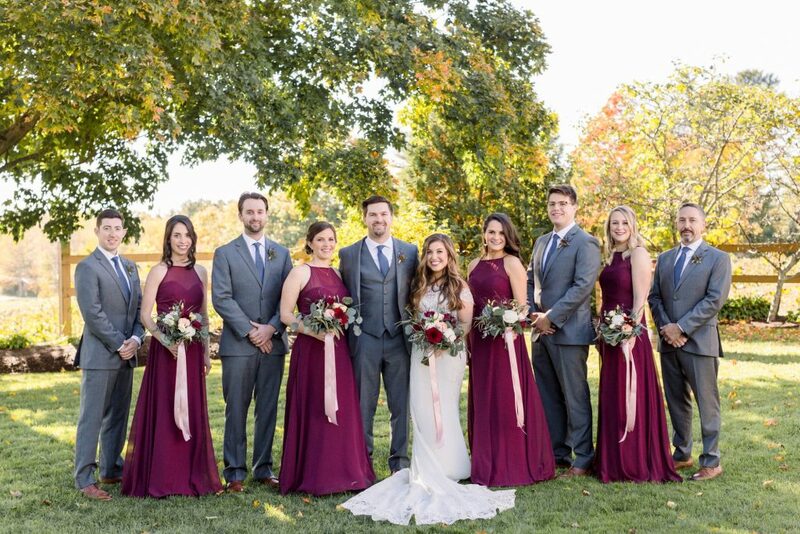 Sam and Kyle had a beautiful Flag Hill Winery wedding on October 12th at the start of Fall when the leaves were changing. 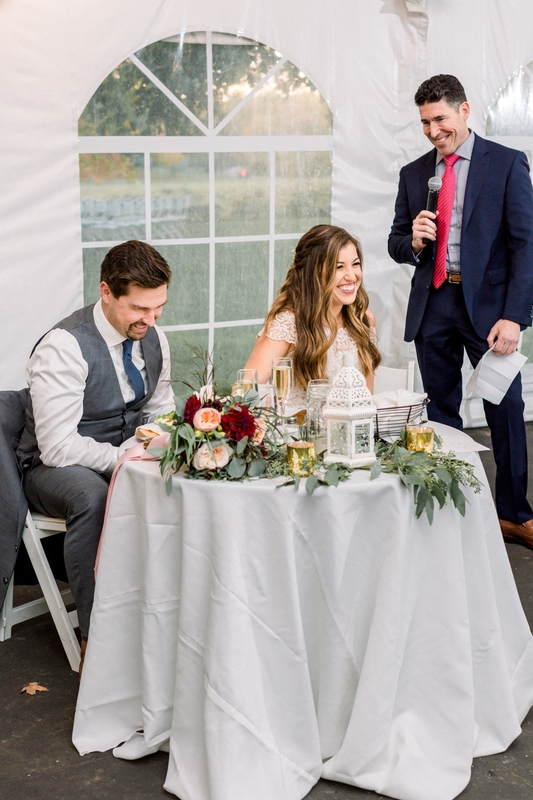 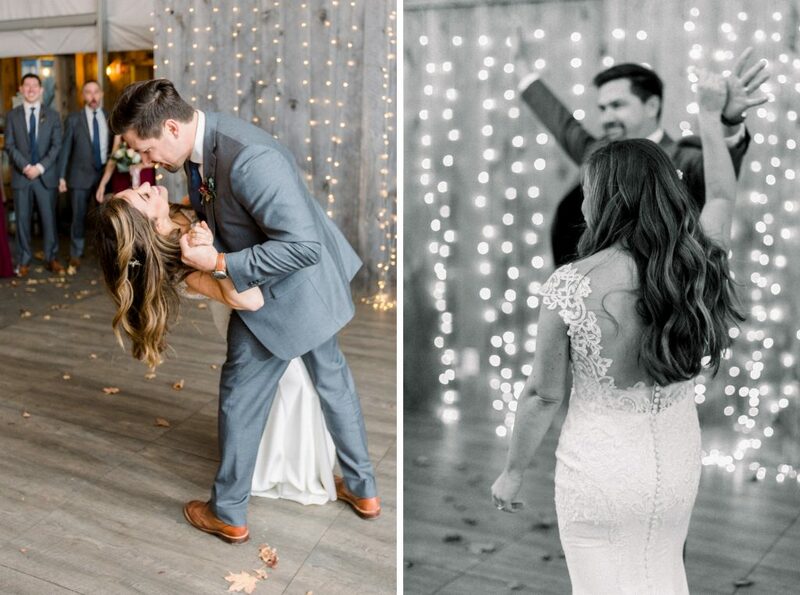 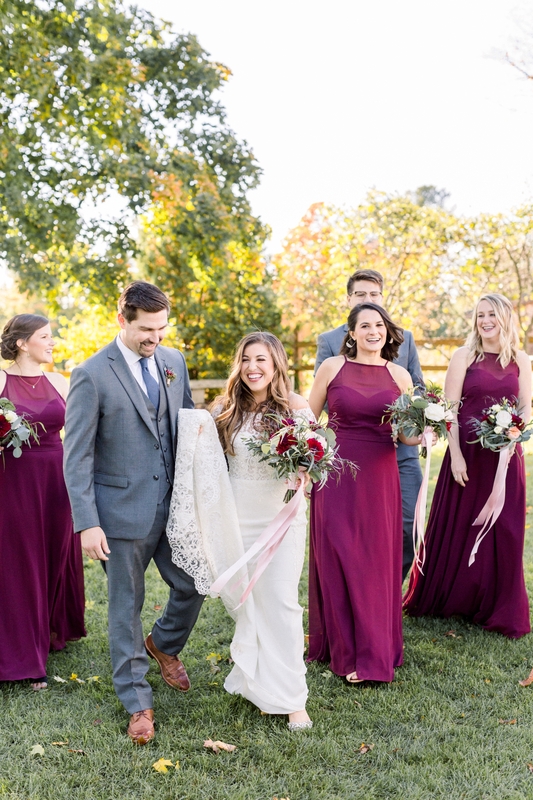 Their friends and family gathered together under the Fall foliage as they said their vows with tears running down their faces. 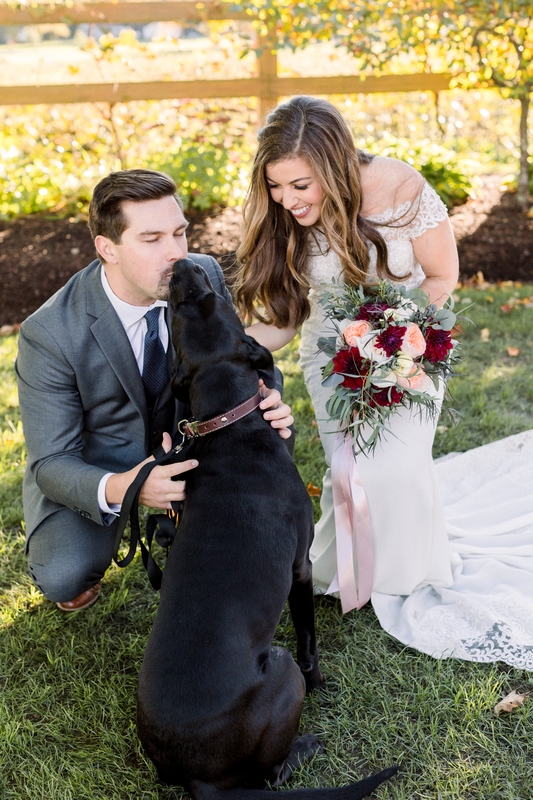 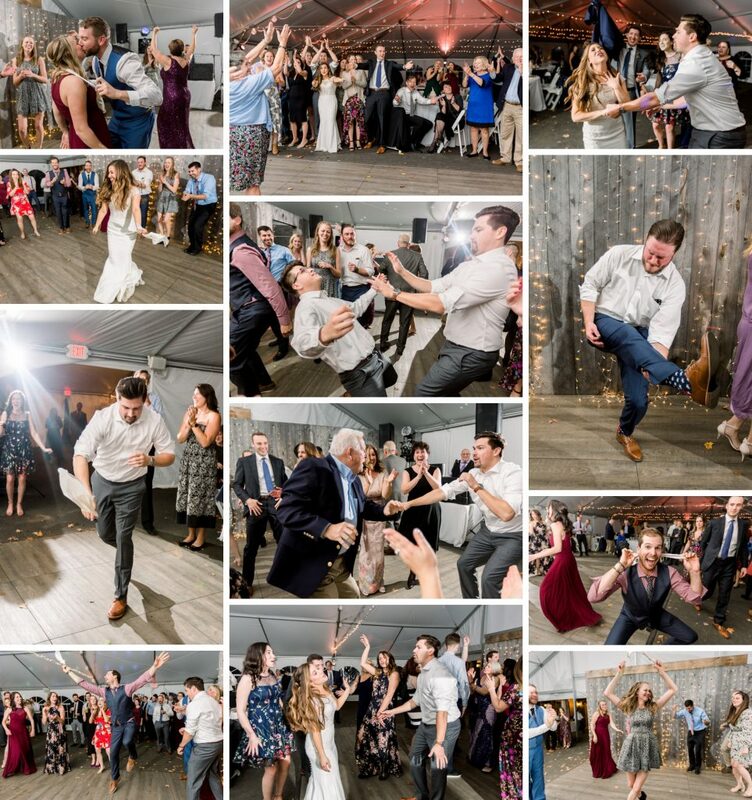 The day was filled with bright colors, heartfelt words, a talented dance floor and their dog Hank! 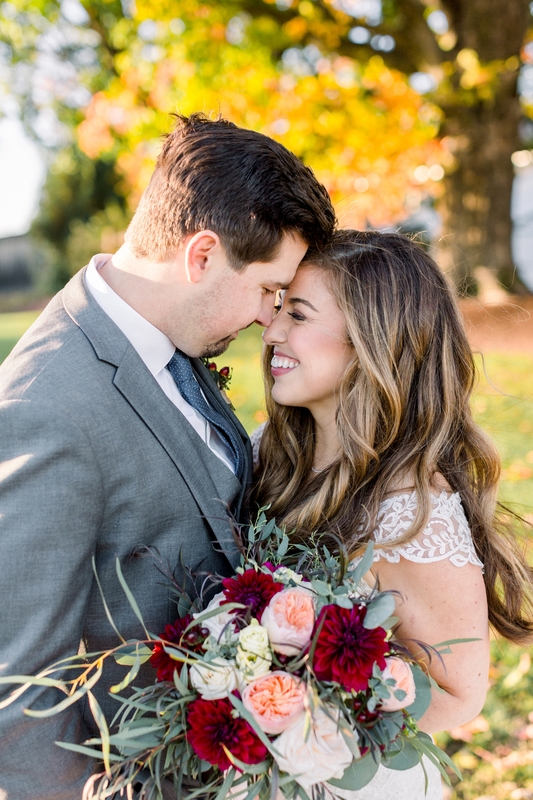 These two made my heart smile. 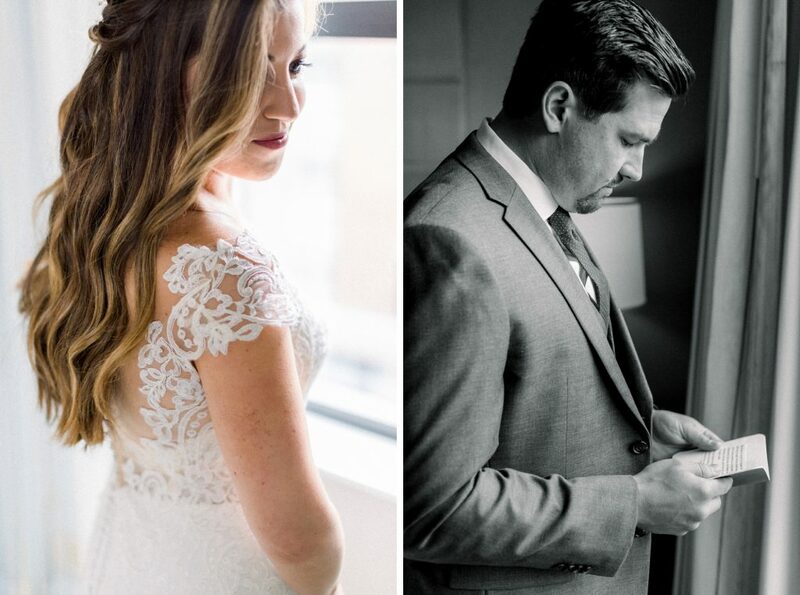 I met the both of them for the first time officially on their wedding day and it was like I had known them forever. 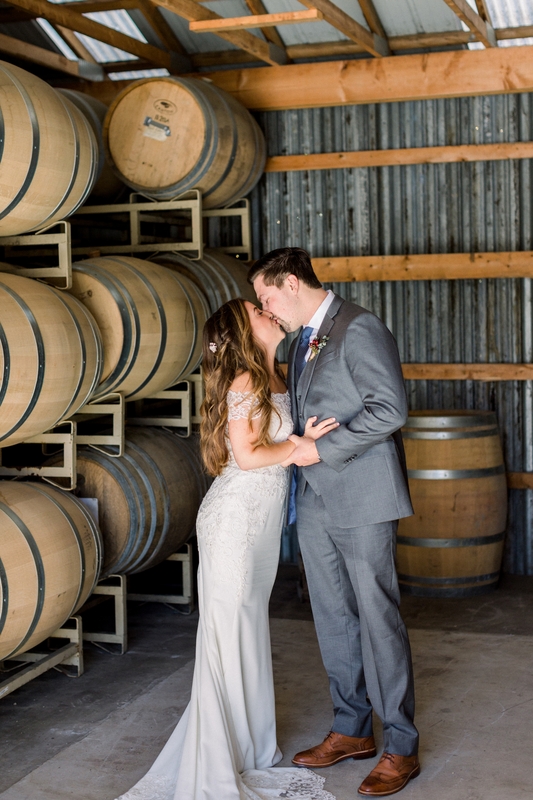 As soon as I arrived for the day I felt right at home. 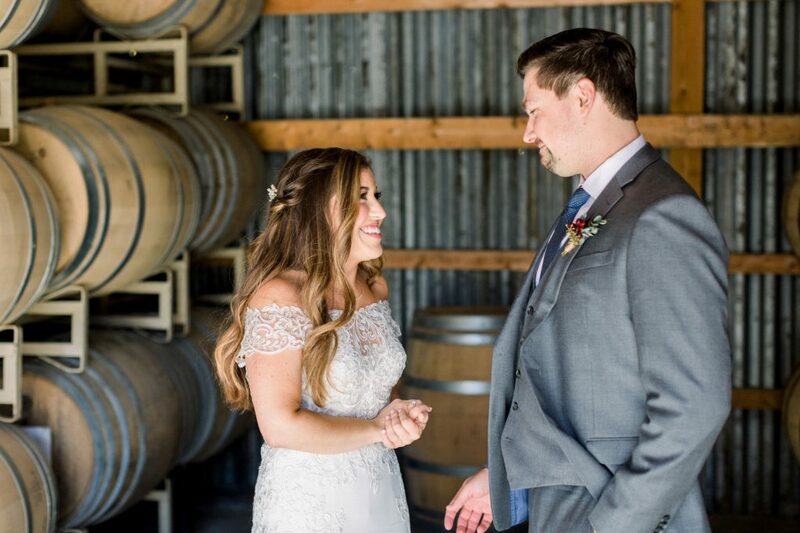 It was like Sam was an old friend and I am so honored that it was so natural with the both of them. 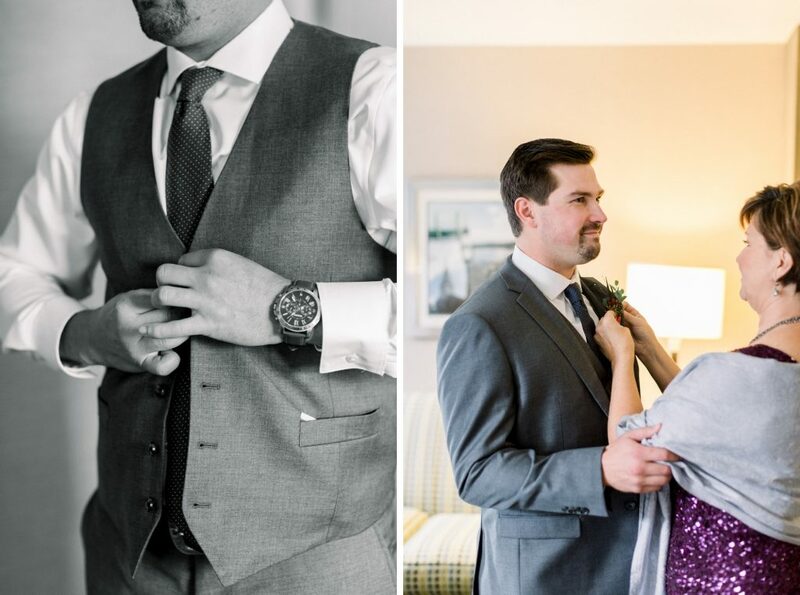 I feel that shows just how down to earth and real these two are. 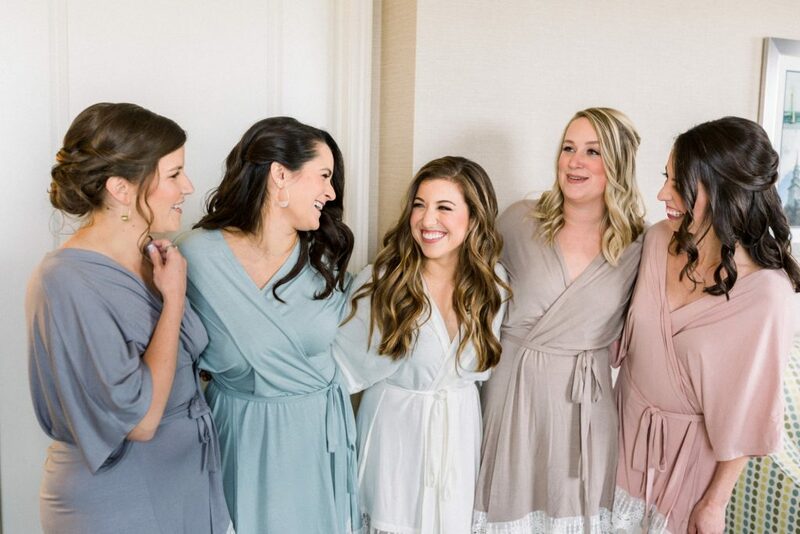 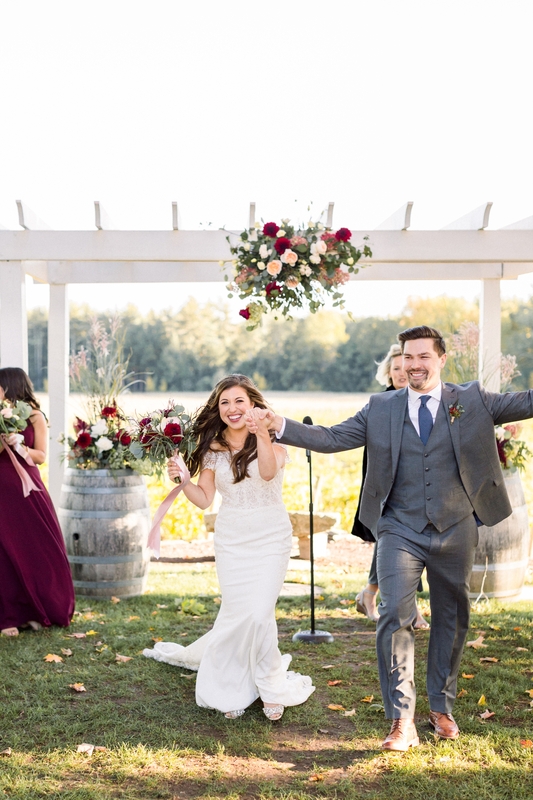 Out of all my weddings this year I teared up the most at this one. 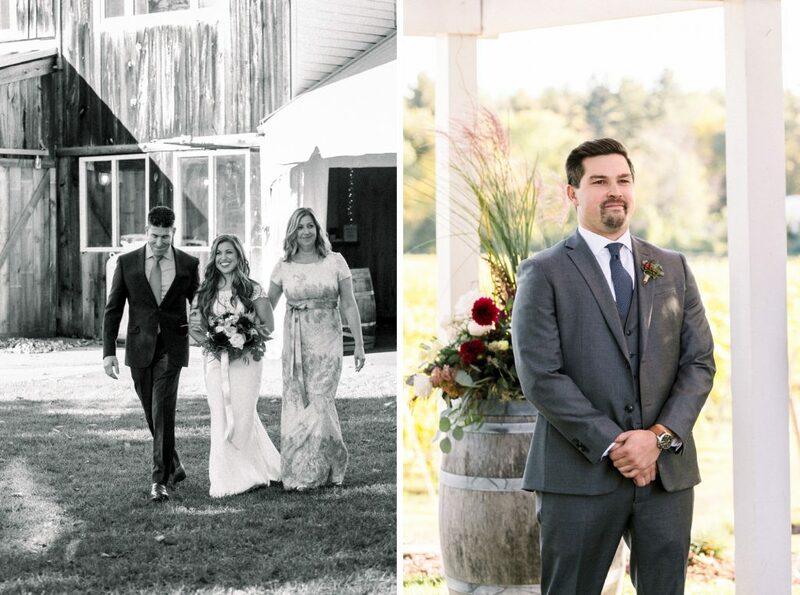 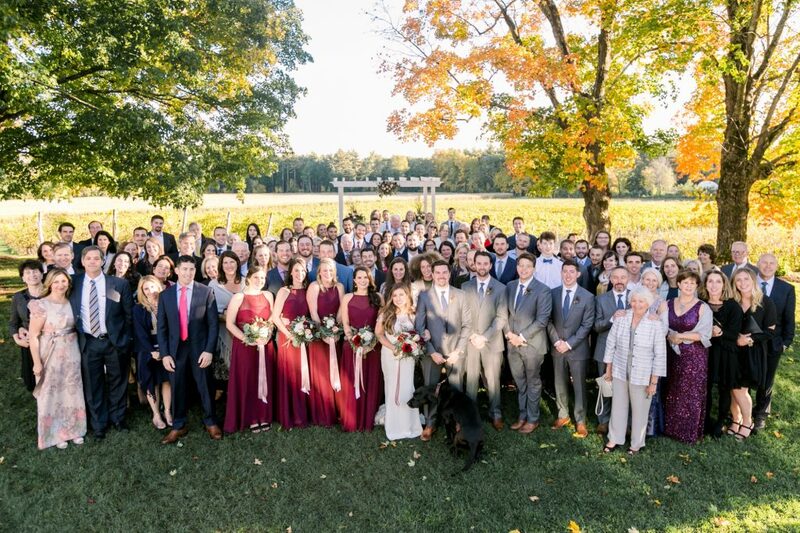 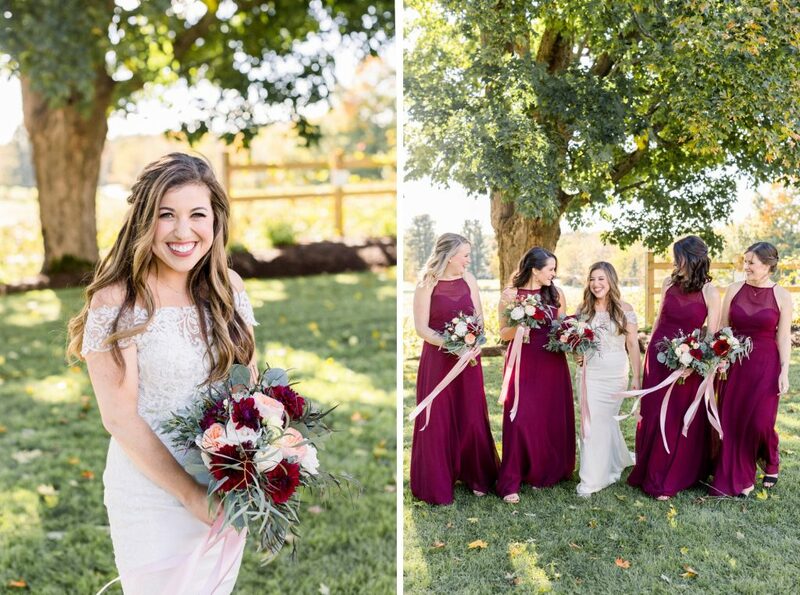 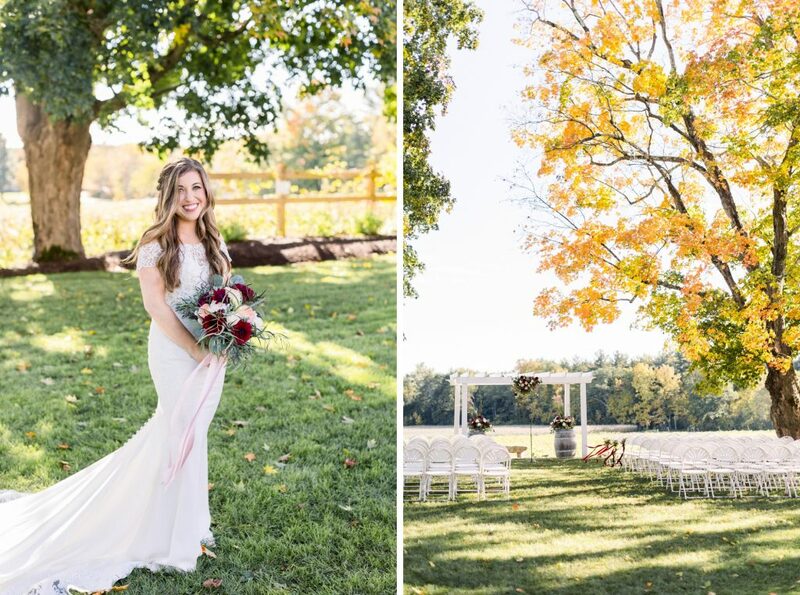 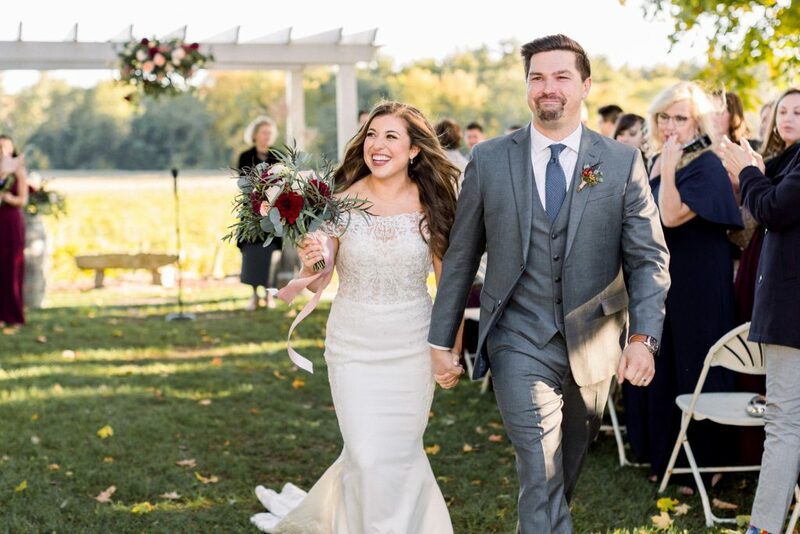 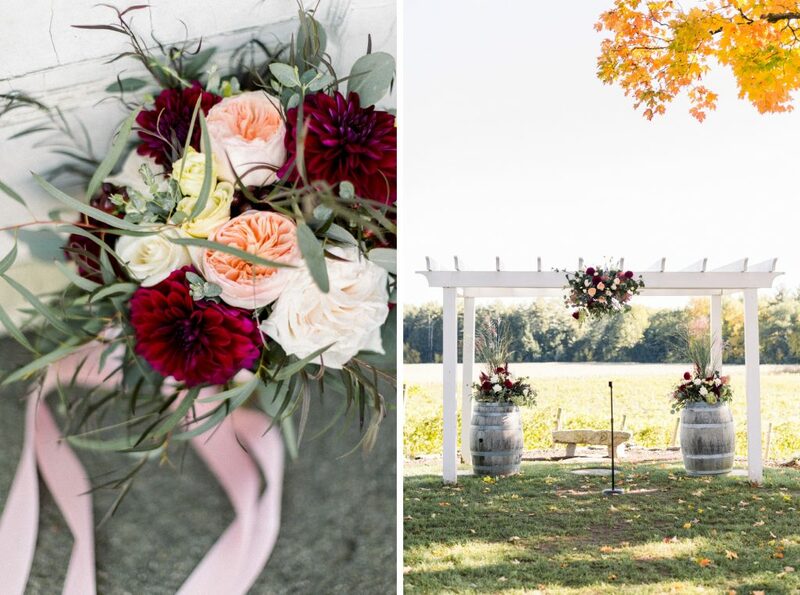 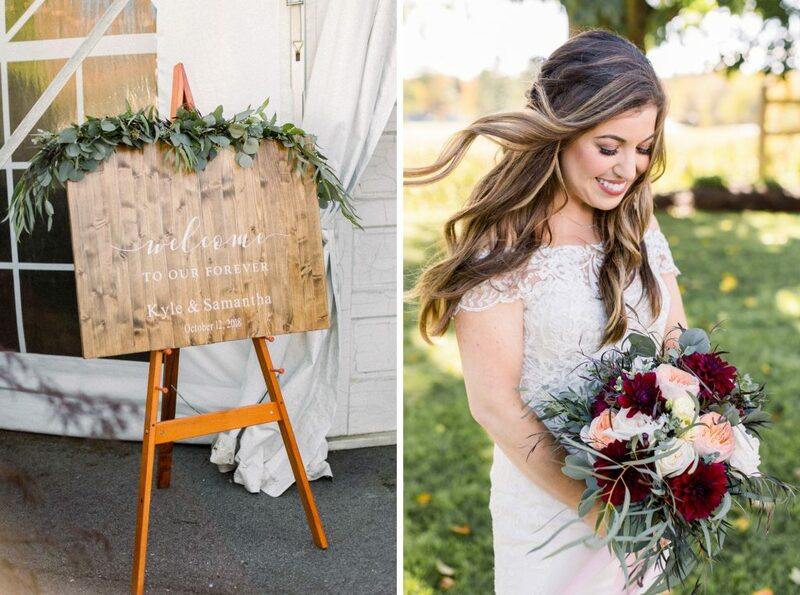 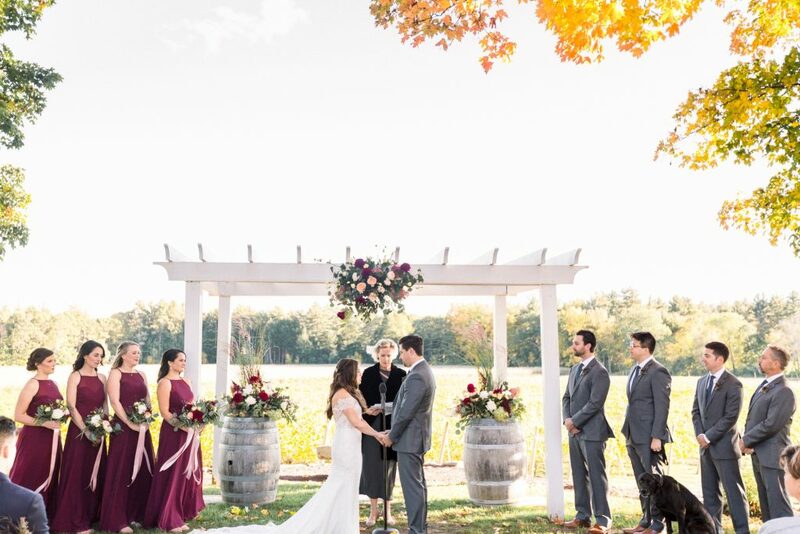 Their Flag Hill Winery wedding ceremony was held under an arbor overlooking the winery with the fall foliage sparkling in the back. 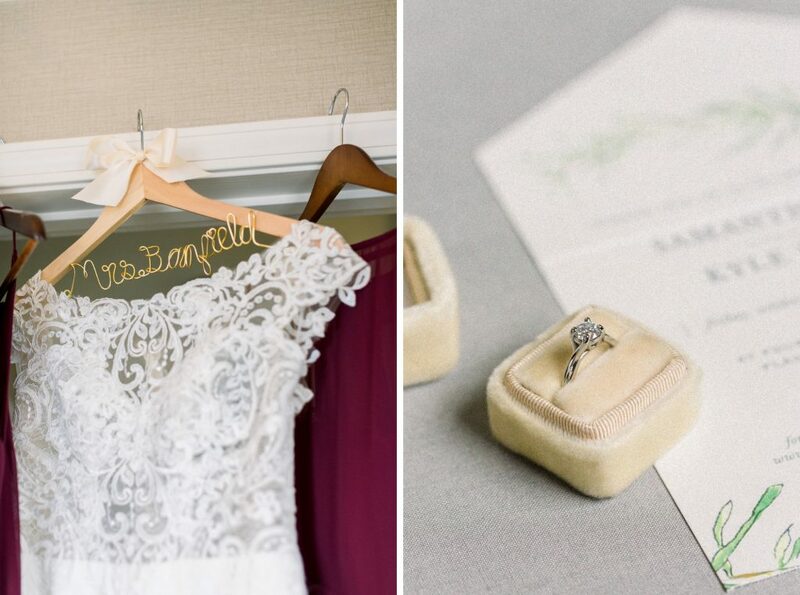 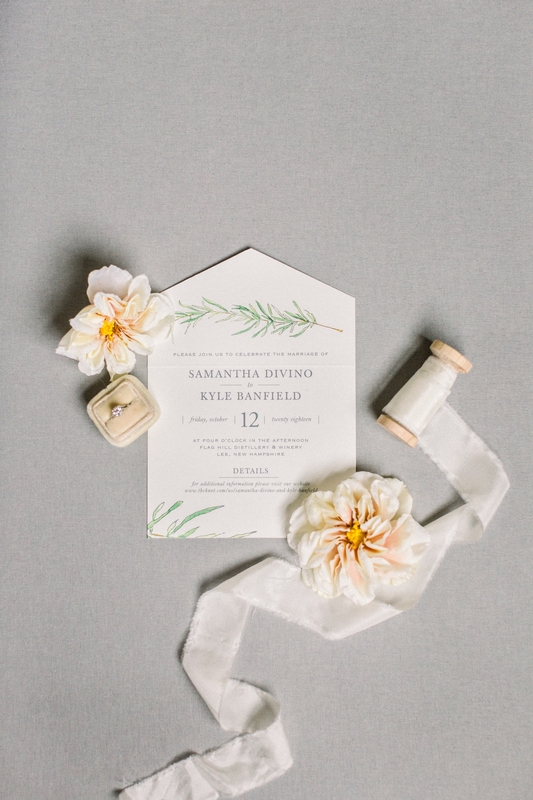 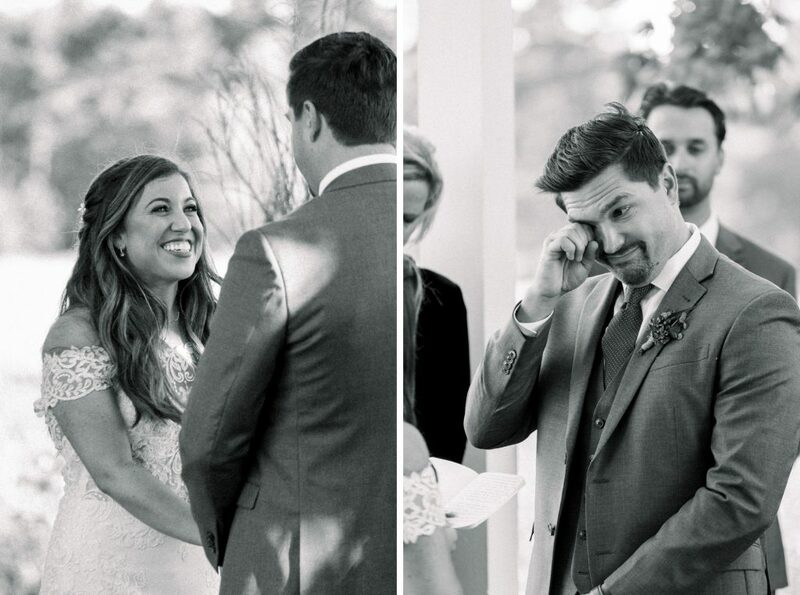 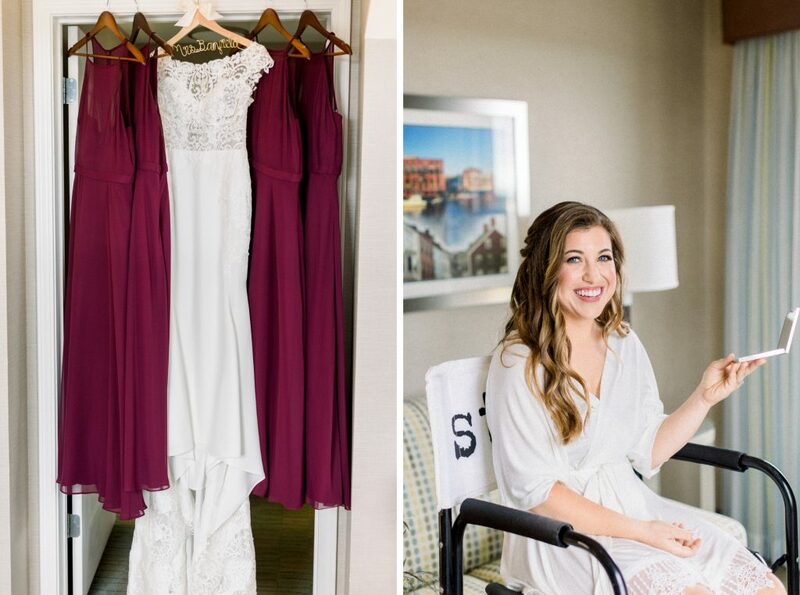 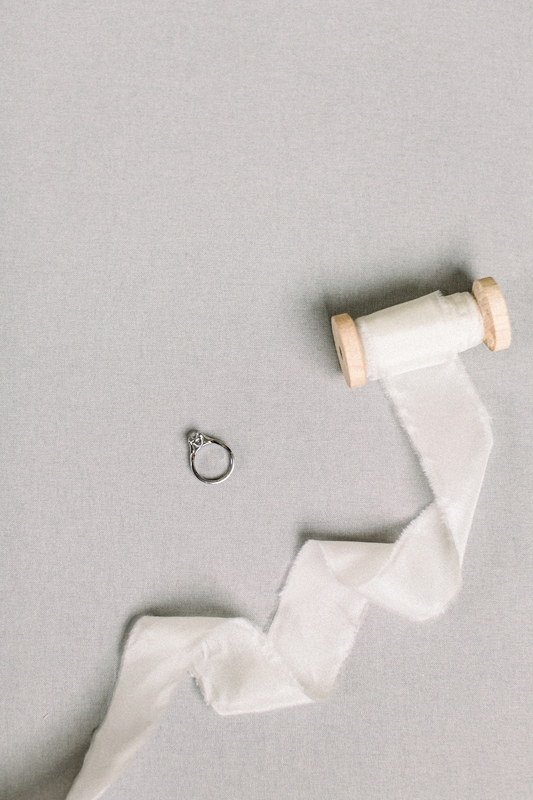 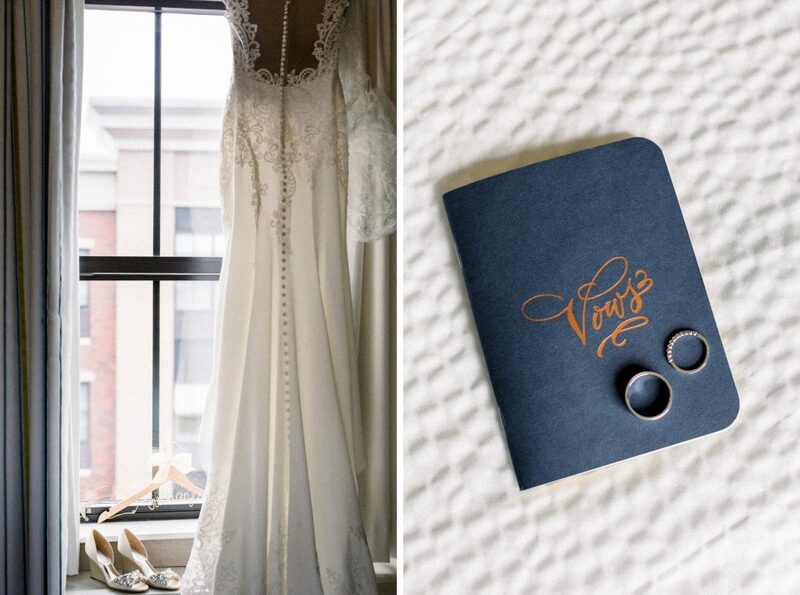 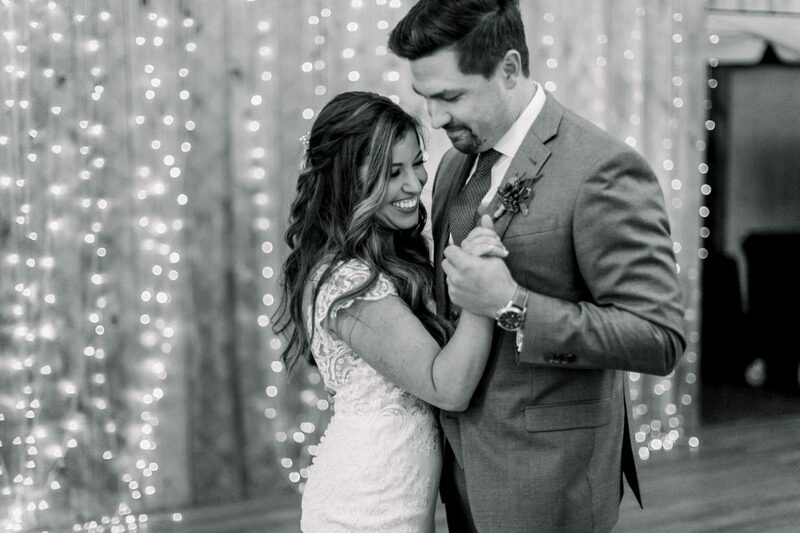 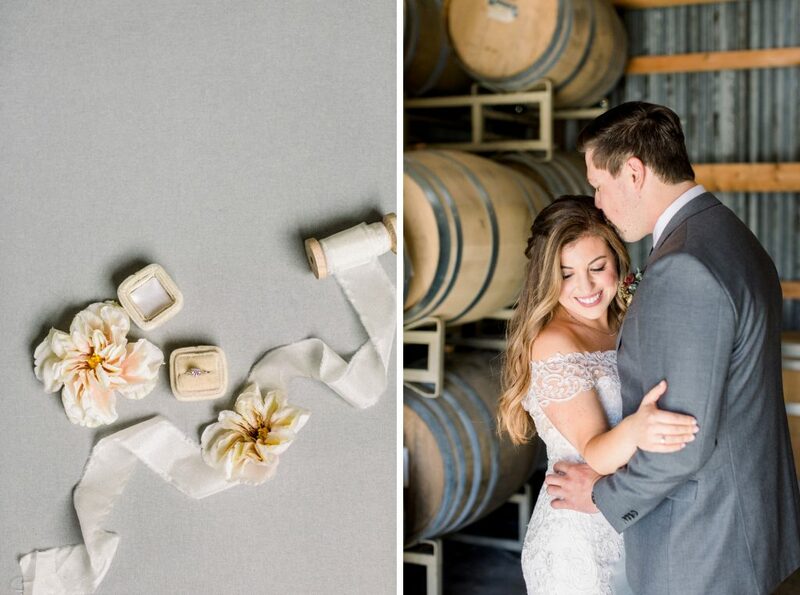 Their vows were deep and heartfelt causing many tears in their family and friends. 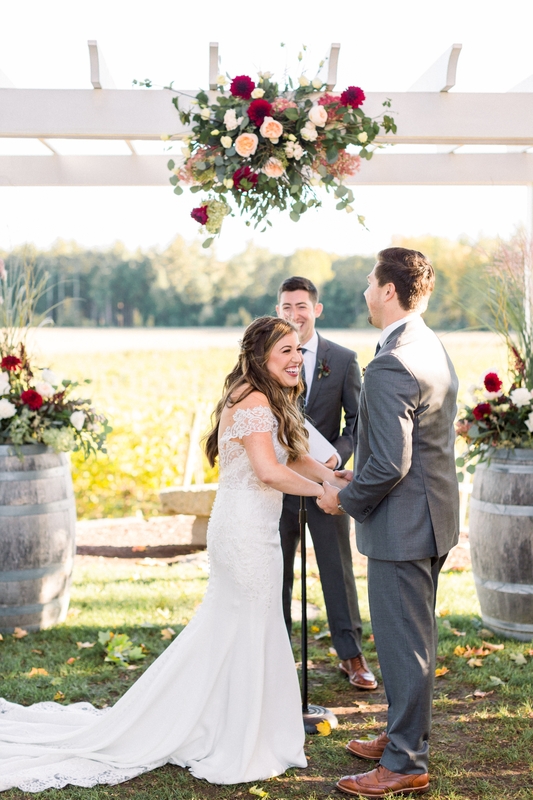 Some beautiful words were also shared during their ceremony and reception by some of their guests. 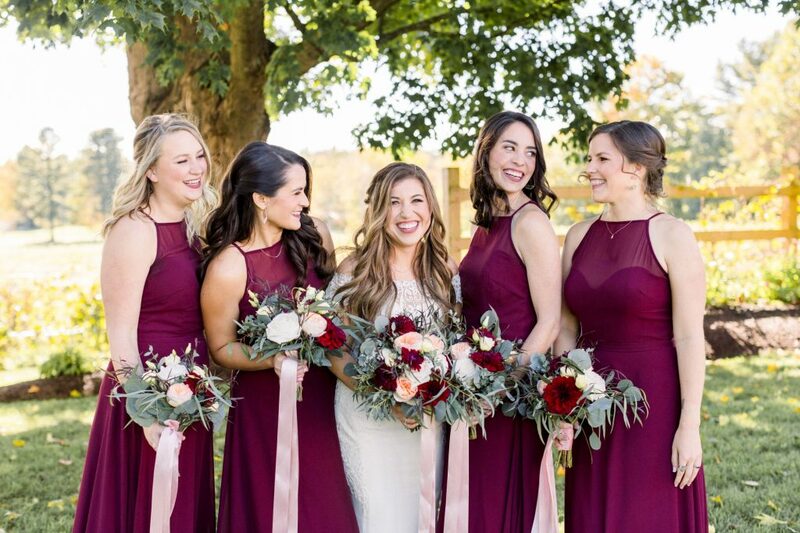 Sam had a hilarious group of girlfriends who were also drop dead gorgeous and didn’t disappoint on the dance floor.